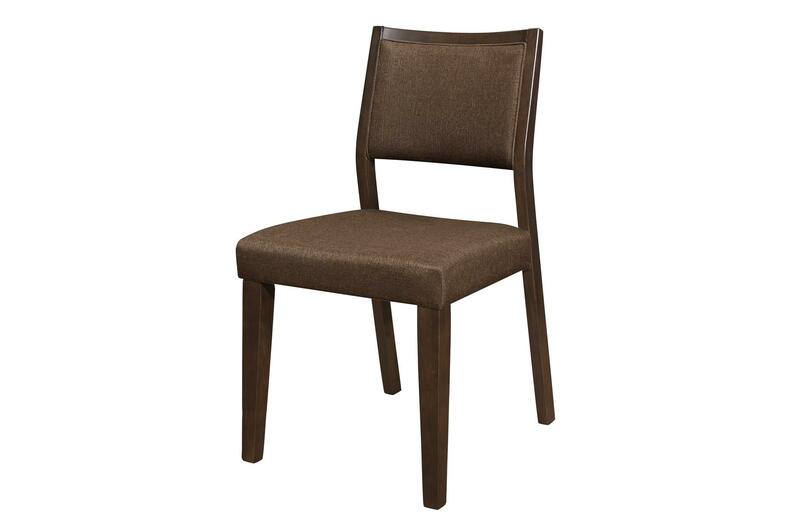 W63" x D35.5" x H30"
W19.25" x D21.75" x H34.25"
The modern profile of the Steer Collection will place perfectly within your casual dining room. 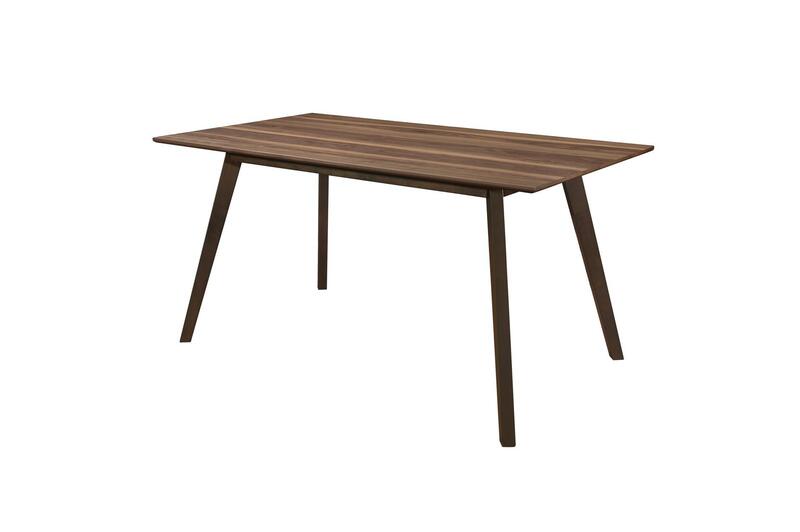 The fixed-top table features sap walnut veneer paired with a dark tone leg base that provides contrast to the natural wood grain. Wood-framed chairs are softened by the neutral tone padded fabric seats and backs.